A home renovation project can be a stressful thing to get involved with, even if you have planned everything meticulously before you lift a tool, laid a brick or pulled down a wall. Things go wrong and you need to adapt original ideas and change things. The phrase 'if you fail to prepare, you should be prepared to fail' is incredibly apt when discussing renovation work, if you choose to dive into it blindly without any forethought at all. To help reduce the amount of stress and avoid the problems that will surface becoming too hard to deal with, in the following article we have put together 5 tips you should bear in mind before you start work. You should avoid hiring the first builder recommended to you, even if it is from your architect or a relative. To ensure you get the very best quote possible for the work, you need to speak to a variety of different builders. It is worth noting how interested they are actually in the work too - if they ask questions and visit the site. If they are taking an active interest in your renovation project, it is more likely they will do a good job and offer you a fair price. Also take into consideration what work could be done by yourself during the project. Painting and decorating for example is a task that can be managed by you and could easily save you several thousand in contractor costs. 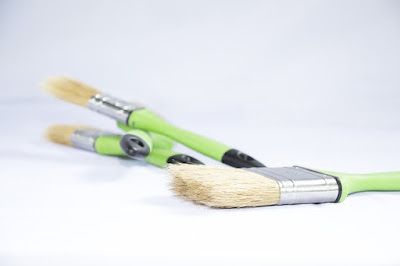 Many people that undertake a large house renovation project, or complete new build often kit themselves our with the best professional paint sprayers as the cost of investment is much cheaper than a professional decorator and the equipment can be used for the entire project, as well as after. Paint sprayers can be used to paint interior walls, exterior walls, trim work, fencing and block work, so they certainly come in handy throughout. Following on from the above, this is a crucial tip if you want your renovation work to be a success. It would be foolhardy to even attempt any work, particularly if it is a large project that you won't be able to reverse if you don't have enough money in the bank. Whether it is from your own savings, a bank loan or whatever - make sure you have available funds in place for as much of your project as possible. Remember, if you can't afford to pay a contractor, not only will they not work for free but you might be liable to legal proceedings. Here are some tips on how to secure the funding to complete your dream home renovation. Depending on the size of your project and where your property is located, you may need to apply for planning permission. Obviously, if you don't check whether you need to or not, steamroller ahead with building work you didn't have permission to in the first place, you could be fined and all the hard work and that beautiful design may even be pulled down. Although it may sound like common sense, you'd be amazed how many people do not check these kinds of things out before work commences. From the standpoint of ensuring the work that is carried out on your project is legal and follows the strict building and safety codes; you need to ensure the builder you hire is fully qualified. They should also be a member of various organizations and have their own indemnity insurance.